As New Jersey continues to struggle with a poor economy marked by high rates of unemployment, foreclosures, and an increasing cost of living, the Earned Income Tax Credit (EITC) remains a crucial lifeline for low-income families. By lifting families out of poverty and giving a boost to local economies, the EITC is a vital tax credit for the more than 600,000 working New Jerseyans who rely on it ‘to make ends meet.’ Unfortunately, many families are unaware that the EITC even exists, or that they are eligible for these tax credits. In other instances, they spend hundreds of dollars paying high cost tax preparers for services that are available for free at Volunteer Income Tax Assistance (VITA) sites. In response to this need, Partners for Health Foundation partnered with New Jersey Citizen Action and United Way of Northern New Jersey to provide free tax preparation services to make it easier for community members to take full advantage of tax credits that are due to them. New Jersey Citizen Action Education Fund (NJCAEF) worked with 6 local partners to coordinate a Montclair VITA Project, which incorporated education and outreach to raise awareness of the state and federal EITCs among area residents. They provided free tax preparation services on designated “blast” days, which were coordinated through project partners. NJCAEF held 14 blast days, and provided free tax preparation for 212 individuals and families. In total, $352,846 in refunds were made, with $117,545 in EITC! Approximately 34% of those who were served claimed the EITC, compared to state and national averages of 30-33%. United Way of Northern New Jersey hired an outreach coordinator to provide information on free tax preparation services and available tax credits. The outreach coordinator made presentations to community groups, sent flyers on the tax program and tax credits, and scheduled appointments. These efforts were focused on organizations who employ large numbers of low-wage workers (restaurants, hotels, healthcare facilities); who serve low-wage individuals (health and human service agencies, child care agencies, affordable housing facilities); and who have contact with low-income individuals (faith-based groups and libraries). During the outreach process, the outreach coordinator was able to schedule and confirm tax appointments. This initiative played an important role in increasing the number of tax returns completed in UWNNJ’s Montclair location. This site saw a 32% increase in the number of tax returns United Way filed, growing from 474 in 2015 to 627 in 2016. Of the 627, 136 clients received EITC. In all, refunds totaling $803,234 were made, with $206,253 in EITC! 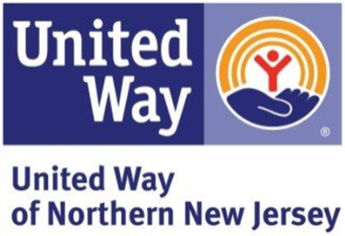 Partners for Health Foundation is grateful to both New Jersey Citizen Action and the United Way of Northern New Jersey for their efforts to secure $1,156,080 in tax refunds to our community members through this EITC initiative.